*** SPECIAL OFFER *** PRICE REDUCED by €10,000 to €35,000 from 17/10/17. Cash Investors only AIMVESTING | SOLE AGENT. The hotel offers full restaurant + bar facilities and you are minutes walk from all the shops, restaurants, bars and Super Venosc Ski Lifts. In the heart of the renowned ski domain of les 2 Alpes; the Madame Vacances all inclusive Hotel & Spa Ibiza can be found at just 300m from the ski lifts. This superb hotel boasts a large terrace with stunning panoramic views of the Parc National des Ecrins. 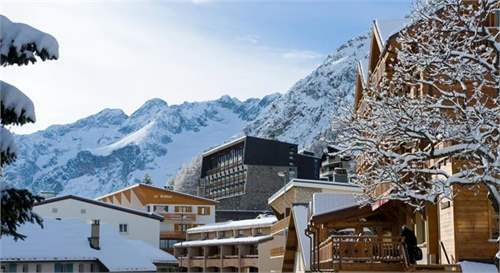 A brand new concept in les 2 Alpes, this stylish hotel offers live entertainment and outstanding service to ensure holiday makers will never forget. Board games available at reception. AIMvesting offers a bespoke service to its clients: sourcing and vetting property developments and with our Partners, assisting our clients with Financing, Legal issues, filing the French Accounts and Tax Returns, Foreign Exchange Products and Services.